Register under “New User Signup” option. Provide login credentials like E-mail ID and password. After completion of the registration process, candidates will receive a verification mail on the email id and on confirming the verification, they can register online and submit the application form by filling all the necessary details. The admission to Gargi College, Delhi University is based on the merit or the score secured in the entrance examination held by the college. Students must have scored a minimum of 45% marks in 10+2 to get Gargi College, Delhi University admissions 2019. In 10+2 the candidate should have secured 55% marks in PCM/ PCB. The minimum requirements for a candidate should be that he/she should have at least 45% marks in 10+2. B.Sc (Hons) with 50% marks or B.Sc Program with 60% marks are the requirements for a candidate to pursue M.A or M.Sc in Gargi College, Delhi University. There were 3 cut off lists for Zoology Hons the year I took admission. It started from 95% and above and ended at 90%. These percentages were representative of the cumulative percentage of 3 main subjects in 12th including biology. 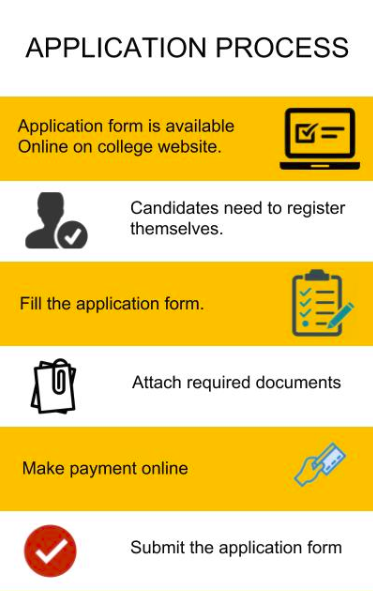 All those eligible according to the cut off list and interested in joining Gargi could simply come with the required documents, which included the marksheet, transfer and character certificate , DU registration form and so on, to the administrative block , contact the main office and get admission . Gargi college is one of the best girls colleges in DU, with a lot of societies to be a part of. The placement cell is great and the union is also very cooperative. Many official trips are organized every semester. The exposure is really good. The crowd and campus life us quite awesome and the fests are the best. The Eligibility criteria are cutoff based. The cutoff is released by Delhi university every year after 12th board exam result is declared. There is no specific entrance exam for Gargi College, Delhi University. I got admission through sports quota. But generally, the eligibility criteria for BSc. Botany (H) is to pass 10+2 from the recognized board with aggregate marks in PCB and they must qualify the respective cut-off list for the course. I didn't take any entrance exams. 91-95% is the rough cutoffs for Botany (H). The admissions are solely based on your aggregate marks in class 12th. Gargi College, Delhi University has a very simple procedure for admissions, constant support by teachers and Senior students are provided. The cutoffs of the college are generally at par with the best colleges of Delhi University. I always thought after completing my class 12, I would join Delhi university. I collect lot of information how to get through the college and the main was the cut off mark of college..so I, however, score 89% in science and got the admission in Gargi college, Delhi university. Eligibility criteria for admission are the cutoff list released by Delhi University. The admission procedure is not complex, the student's documents have to be verified by the respective college faculty. The cutoffs for my course will be started from 97%. Eligibility criteria for admission are the cutoff list released by Delhi University. The admission procedure is not complex, the student's documents have to be verified by the respective college faculty. The cutoffs for my course started from 97%. Gargi College, one of the most prestigious colleges of the University of Delhi. The admission starts in the month of July when the University of Delhi leaves out the lists of shortlisted candidates. Academics and extracurricular activities are the criteria for admission. Admission procedure is very much simple and it won't take more than a few hours to get admission in our college. The eligibility criteria are the percentage of 12th Class. Eligibility criteria - 10+2 with 50% of marks containing Biology, Chemistry and physics as a subject to get into the Gargi College. Gargi college, Delhi university is full of talented and brainy girls. The infrastructure is quite different therefore it's a hit amongst the students. Also, the studies and exposure is great. The eligibility criteria for admission was to match the cut-off as per the college list which started around 96% and closed at 94.25%. There is no entrance test for the admission. Candidate must have passed the 12th from the recognized institute to get admission in this college. No separate entrance exam is conducted. Minimum 92-95% cutoff mark is required. The eligibility criteria and admission were merit-based. It was based on class 12 result. No entrance examination was conducted. Last Cutoff (5th) was 93.75 for general category. Candidate must have passed the 12th from a recognized institute to get admission in this college. No separate entrance exam is conducted. Minimum 90-95% cutoff mark is required. The candidates must pass their 12th boards or equivalent with good marks and give entrance test of DU JAT which is followed by group discussion and personal interview. Eligibility criteria is 12th pass in science stream for getting into Gargi College. This College has more courses and also have good facilities.Good discipline is maintained in the college. best technologies are used for teaching. Candidate must have passed the 12th from a recognized institute to get admission in this college. Minimum 94% cutoff mark is required. 12th percentage. No, there is no entrance exam for taking admission in DU. Mostly 100 to 90% in class 12th is required. The eligibility criteria is to pass the 12th grade with good percentage. The cutoff is around 92% to 97%. No entrance exam was conducted for the admission. The typical cut-offs where 96% which were based on 12th marks. Eligibility criteria is 55% for admission. Entrance Examination I have given. yes, 55% cut off. One must appear for JAT entrance exam after that your admission is based on the counselling procedure. The candidates must give NEET PG entrance examination to get admission in the college. The eligibility criteria at the Gargi College is 80% in 10+2. Cut off was really very high and the admission in B.com was completely based on it. It is very easy procedure for admission. I had taken NEET examination. The cutoff at Gargi College is 75%. The eligibilty criteria is to have atleast 95% for the B.Com . A student has to pass his/her 12th Board with good marks. The subject 'lnformatics Practices' will be equivalent to Computer Science for admission to B.Sc.(Hons.) Computer Science only. The candidates must have studied and passed Mathematics at the qualifying exam for admission to Honours in Commerce. (a) For admission to Honours in any language course, advantage of 2% in the Best of Four percentage will be given to those candidates who have studied the elective language. 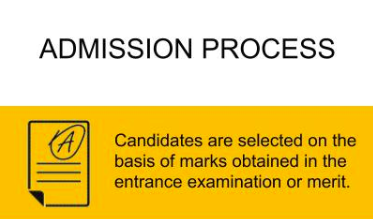 (b) In case, a candidate has not studied the language at qualifying exam and is seeking admission to Honours in that language, she will be given a disadvantage of 5% in Best of Four percentage. (c) For admission to Honours in English and Hindi, the candidate must have studied and passed the respective language in the qualifying exam and it will be included for calculation of Best of Four percentage. 1.Date of Birth Certificate (Class X Certificate). 2. Certificate of the last examination passed. 3. Mark sheet of the last examination passed. 4. Character Certificate from the school/college last attended. 5. College leaving/Migration Certificate wherever necessary. 6. Certificate of having passed a Board or Class VIII Examination in Hindi (if exemption from Compulsory test in Hindi is sought). 7. Relevant Caste certificate (including SC, ST, OBC non-creamy layer), Disability certificate and certificate from Armed Forces, whichever applicable, in case admission is sought in reserved category. 8. Medical Fitness and Participation Certificates for admission on sports basis. 9. Participation Certificates for Extra-Curricular Activities for admission on ECA quota. 10. One Stamp-sized photograph to be affixed on the admission form. 11. Numbered slip contained in the prospectus of this College, signed by the Candidate. 12. Photocopy of the Common Pre-admission form of DU. • Self-attested copies will be accepted. It is made clear that if any false attestation/falsified records are detected, the student will be debarred from attending any course in the University or its college(s) for next five years and in addition, a criminal case under relevant sections of IPC (viz. 470, 471, 474 IPC etc.) will be instituted against her to subject her to the requisite criminal proceeding. • The candidate's name in the application form should be the same as in the Birth Certificate. • Please add father's name/surname to avoid confusion between identical names while tabulating marks at a later stage. • Indicate your preference for the medium of instruction wherever applicable. • No compartment cases to be considered. • For Science 70% theory and 30% practical component is must, if theory component is less than disadvantage of 10% in each subject may be given. • 1st Cut-off students will be eligible on the last day of the 2nd Cut-off if the seats are available . They are not eligible on the last day of 3rd Cut-off. • Do not send any students to DSW and South Campus. • We will be keeping all original certificates.